Saks is no new kid on the block - we’ve been pioneers in franchising since 1981. We're the brand that delivers a look, a feel, an experience to women who want to feel transformed. Saks is a leading hair and beauty salon group with an award-winning, network of salons on the high street and in health clubs. 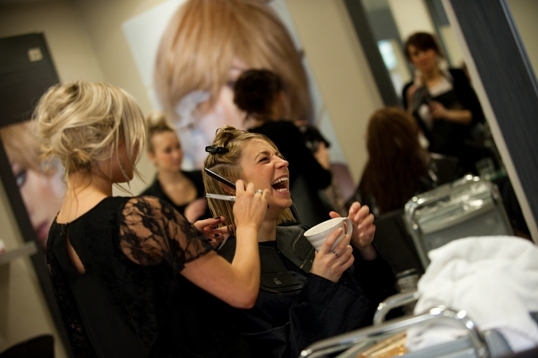 Saks is also renowned as an international leader in hair and beauty education. Founded in 1974, Saks has a proven track record in franchising and has established a strong brand name associated with quality, professionalism and expertise. Saks provides an established business format to its franchisees, including brand name and values, advice and support, business expertise and exceptional training – all critical to the company’s success. We're a big name with a solid history and an inspiring future. Being part of Saks means being part of something that’s constantly evolving, as we bring the latest in hair and beauty to UK high streets and leisure clubs. Either on the high street, or with our leisure club partner, David Lloyd. You'll need a real passion for making your business work; we'll provide the brand name, the support, and all the top tips we can. With our proven business model behind you, you’ll soon enjoy running your own profitable Saks salon within a strong national network where you can turn to anybody for advice and guidance at any time. Saks HQ is a call or click away, and you'll have an expert business development manager on hand for coaching and support. As a franchisor we have full British Franchise Association endorsement and approval. We'll provide you with an established business model, full brand guidelines, values and goals, comprehensive support, business expertise, outstanding free training for you and your staff and a salon to make your own. We'll even help you secure bank financing, salon fit out and get you up to speed with training. A comprehensive career plan and education programme are provided to all its people, from trainee to franchisee, to ensure quality remains consistently high across the network – whether through delivery of service, customer care or brand experience. The group’s ethos of providing continuous, free training to its people not only engages and motivates but also ensures a network of experts which ultimately help build successful salon businesses. The company’s compulsory induction training for all new team members, from trainee to franchisee, ensures all Saks people are immersed from day one in the brand and its values, signature techniques, consultation, customer care and company systems and policies. Saks franchisees are trained and nurtured with a range of business workshops run by leading industry experts and the group’s senior managers. In addition, hands-on training is delivered to new salon owners from experienced franchisees who are assigned as mentors to share their daily experiences of running a salon. Also, one-to-one sessions between Saks’ business development managers and franchisees are tailored to meet individual needs. All this, along with the Saks Operations and Policy Manuals, assists them in the successful day to day running of their salons. Saks franchisees have a time plan to work to which involves either working on the salon floor or front of house, holding weekly team meetings, ensuring salon standards are adhered to, completing regular staff appraisals and/or one-to-one meetings, training the team on in-salon customer care and procedures, implementing local marketing strategies and salon events, ordering stock, and setting and controlling salon budgets. Would you like to start a Saks Hair & Beauty franchise? To get in contact with Saks Hair & Beauty regarding their franchise opportunity, please complete the form below.